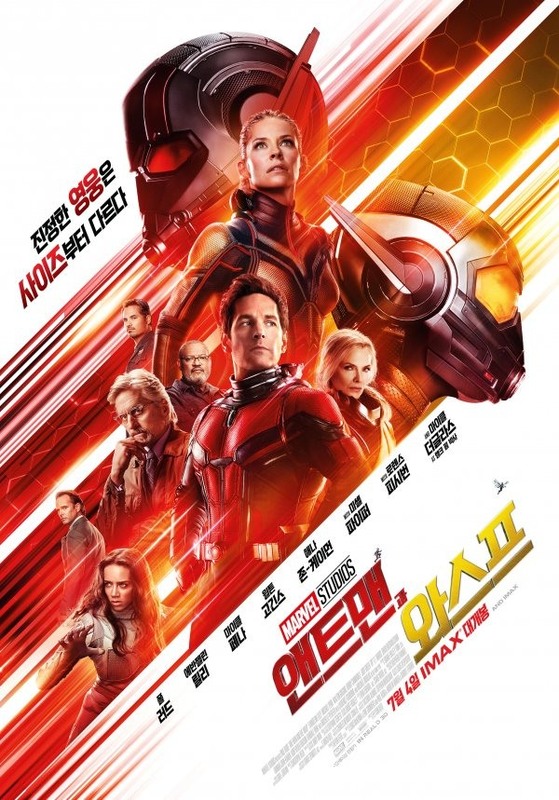 Marvel Studios' "Ant-Man and the Wasp" dominated the Korean box office, drawing slightly more than 1 million moviegoers in its second weekend, data showed Monday. The superhero sequel was seen by 1,062,558 people from Friday to Sunday, generating 9.45 billion won (US$8.37 million), according to the box office tally from the Korean Film Council. The film has collected 4.35 million views since it opened on July 4. Dwayne Johnson's giant building action movie, "Skyscraper," debuted at No. 2, selling 464,816 tickets. Local supernatural thriller "The Witch: Part 1. The Subversion" fell to third with 387,297 admissions, but it has already surpassed its break-even point of 2.3 million in the terms of cumulative audience. Korean horror film "The Whispering" is another new release that ranked in the top five. Helmed by rookie director Choi Sang-hun, the movie was fourth with 161,608 admissions. Director Lee Joon-ik's latest, "Sunset in My Hometown," slid to fifth with 63,789 views.